I steadfast my Cruelty-free pledge. And like I was determined, I flipped the 90% Cruelty Makeup to 90% Cruelty-Free. I am well-pleased with myself. I accomplished all my resolutions for 2015. I have no planned posts as yet. But 2016, I am going to experiment with more Makeup. My favourite Literary Characters, Celebrity Inspired or the quick things. I am going lay down my basics and there is one special post I am planning every month. I am waiting till second half of January for more such plans. I am pouring in more creative energy here for 2016. I am experimenting with Photography more and BOKEH (Natural or Artificial light) will be far and wide! Growing up, I made a scrapbook of my old notebooks. I would jot down or stick in tips and articles from magazines or newspapers.Well, I have a blog now, I post everything in here. So I am maintaining a hand-written diary for my blog posts, routines and certainly changes in my skin. 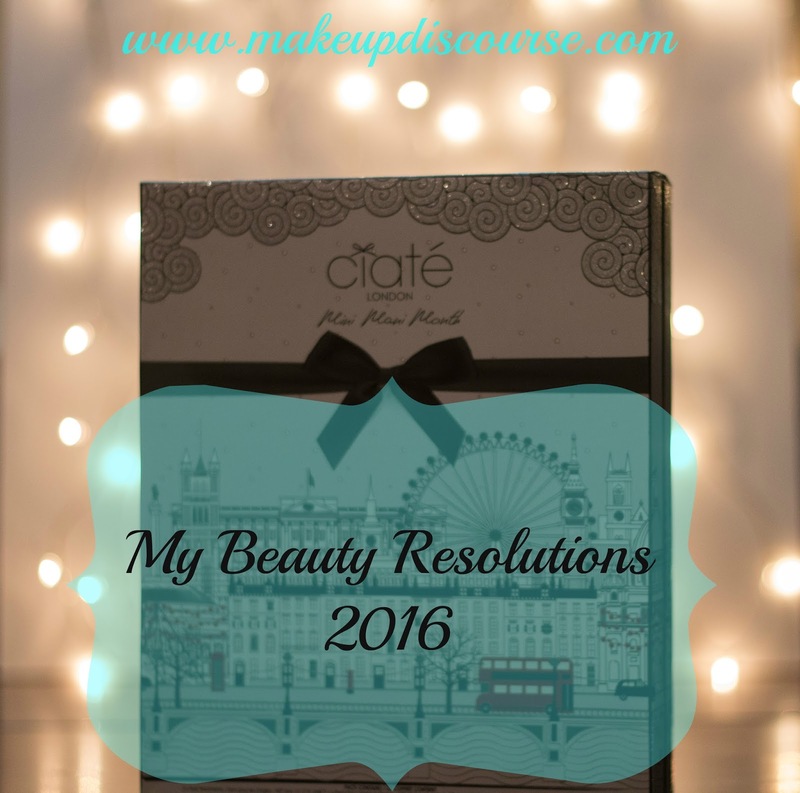 I did maintain one for 2015 which had my huge wishlist and my skincare routines from the first half of 2015. I lost the journal and the posts never went live even though I had them typed down. I am basic, minimal, essential kind of person when it comes to clothing. I stayed away from certain (read girly) clothing during college. I started with a step at a time, so this year I am setting up my clothing collection. Chic. womanly and maybe with a hint of my old self. There, goes all my money. Wait for my Haul, I over spent and I am going to let myself loose with these products for 2016. I am $20 away from attaining my Sephora VIB Status. But on Hourglass, I spent my $105 and the products are misplaced and it is enough to break me down. Bye Bye Sephora! I won't be purchasing from SephoraUS henceforth for privy reasons. I shall settle down with Inglot, Kryolan & all the cruelty-free Makeup brands in India. I was almost close to picking up Anastasia Beverly Hills Original Contour Palette but I read Kat Von D is creamier and blends seamlessly. I did not want to settle for NYX contour Palette. So I gave up and didn't purchase any. I will keep looking, till then I will settle for what I already have. I am skinny fat. It is a funny word. I am a fussy eater, so I make sure I eat my greens. I don't eat junk/fast food (so good for me!). I am 5.3 & 50 kgs, so mostly I have been advised to work out every day. I am setting up my bar high. I blogged exclusively for the days I would need an escape from reality. Through 2015, things were changing and I found an exclusive solace in blogging. Except I got to attend events and meet some non-beauty/makeup niche bloggers. Getting noticed for escapism (blogging) was a nice thing though and I appreciate it too. I am going to invest more in Skincare than Makeup. Recently I walked in for an event bare faced with just sunblock on my face. And since I escaped my seasonal Acne cycle, I am in love with my skin right now. And I DONT feel the need to layer my face with makeup. Conceal my pigmentation around nose and mouth and I am sorted.